Can you spot the Hummer??!! 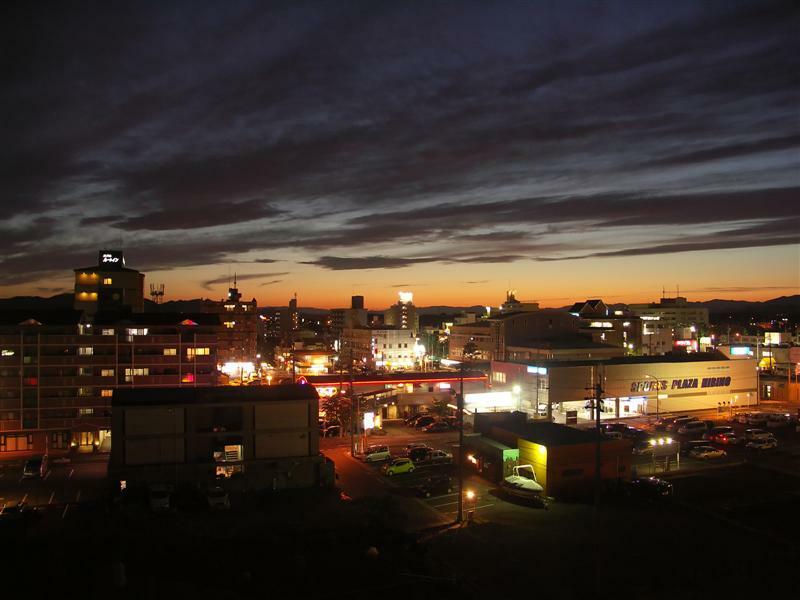 Sun setting over my small city in central Japan. I took this shot from the 6th floor of my apartment building. It's no San Fransisco skyline I'm afraid, but there is a black Hummer parked down there somewhere to provide brief entertainment! Just to the right of the red building by the looks of it.